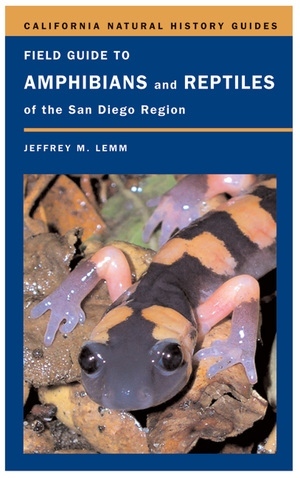 With its varied topography of coast, mountains, and desert, the San Diego region, considered one of the world’s biodiversity hotspots, boasts a rich variety of amphibians and reptiles—from the arboreal salamander to the green sea turtle to the secretive San Diego banded gecko and the red diamond rattlesnake. More than a field guide, this up-to-date, authoritative, conservation-oriented book is the first comprehensive resource on the herpetofauna of the region, which is unfortunately also known for its high number of endangered species. Jeffrey M. Lemm gives information on identification, habitats, biology, and the conservation status of all 88 amphibian and reptile species found in the San Diego region. Many of these animals can also be found in a wide area of Southern California and Northern Baja California, making this valuable guide useful for a wide geographic area and a must-have for outdoor enthusiasts, nature-lovers, and professionals alike.